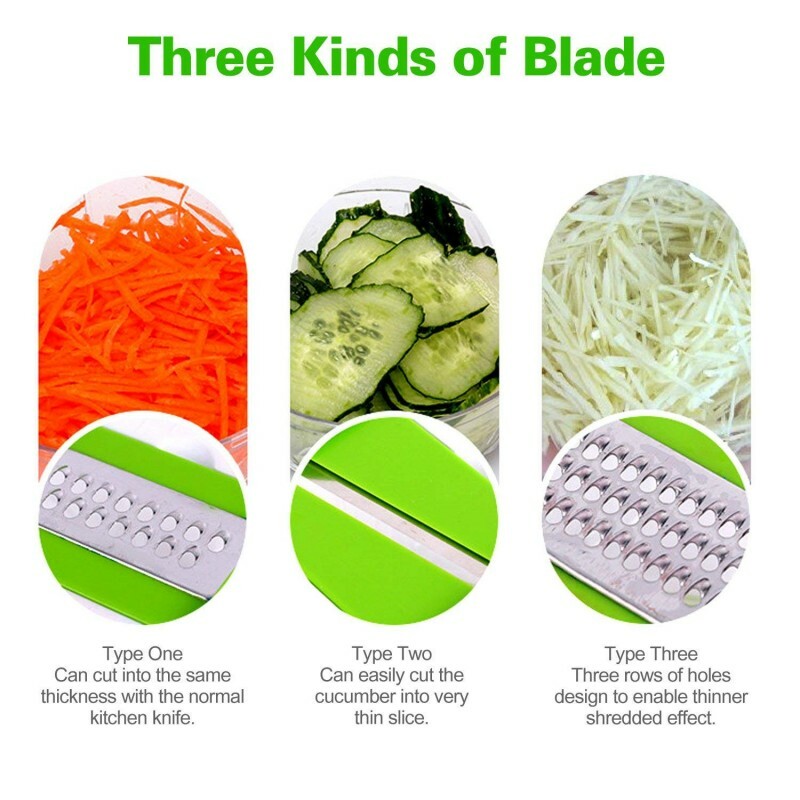 Equipped with premium super sharp stainless steel blades and excellent reinforced plastic frame and body, heavy duty and long lasting life. 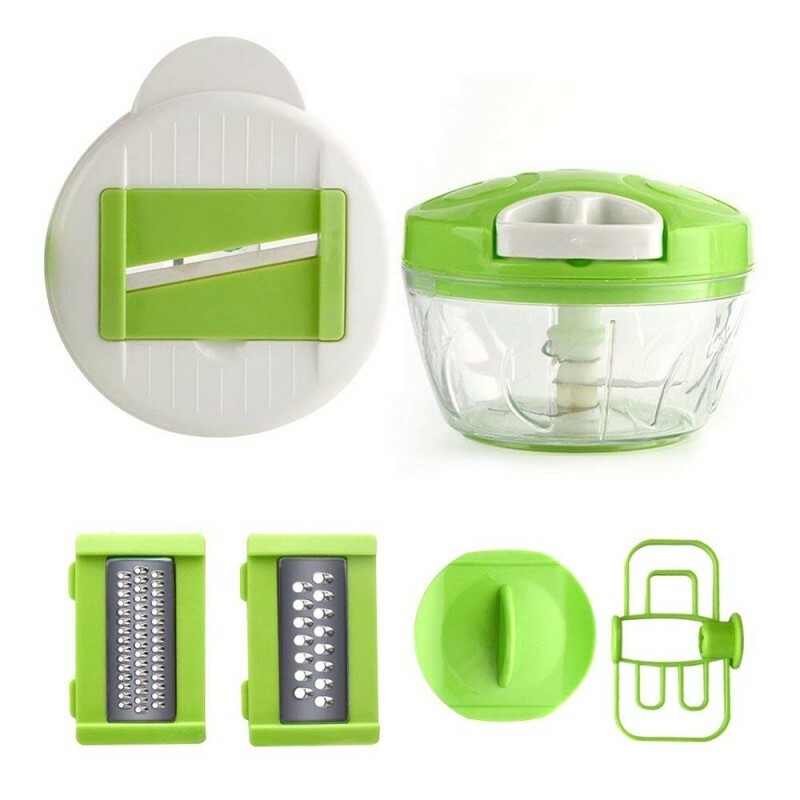 Simple way of the combination and use help you to easily get started chop, slice or dice in one easy swift motion.Chop up vegetables, fruits, and more in one simple press motion, Experience fast and easy kitchen blade skills.Saving your time by convenience use to get along with family.Also our products are very easy to clean, you only need rinse it with water or put it in the dishwasher. 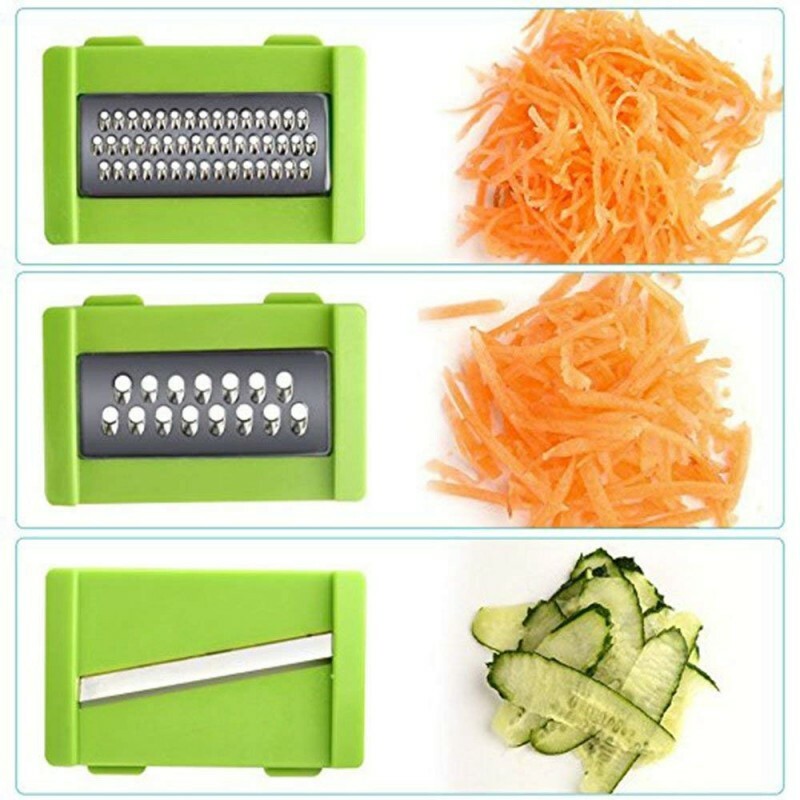 Piece blade selection, so you can achieve the perfect cut or dice of your choice.Create SALADS, SOUPS, RAGOUT and DESSERTS from a great variety of Vegetables, Cheese and Fruits: Onions, Peppers, Garlic, Zucchini. 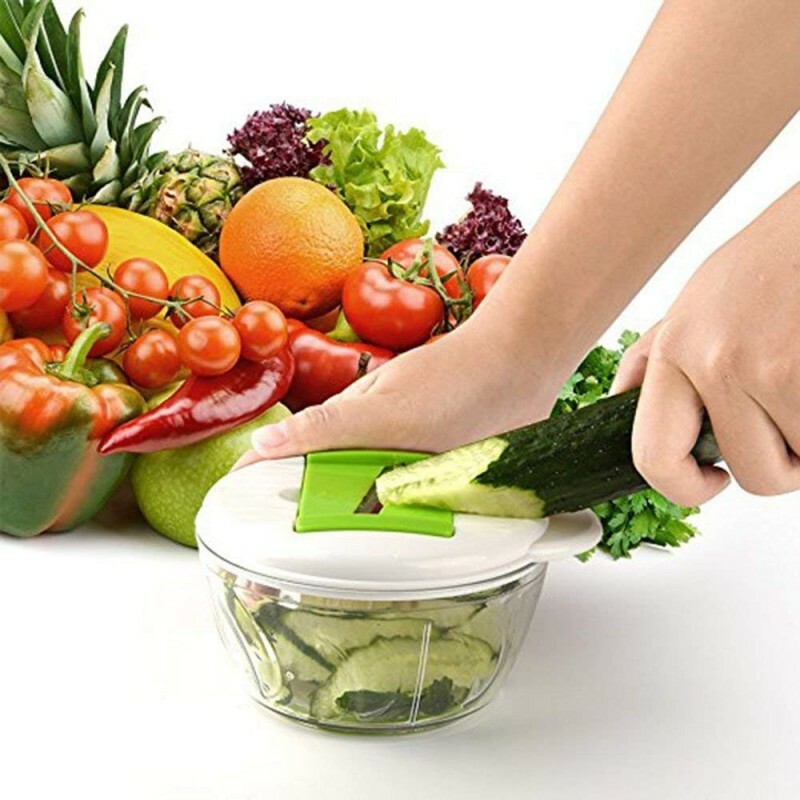 Not just a food chopper,This the 5 in multi-function and your cooking utensils set. the chopper machine is full set in one kitchen tool. Premium stainless steel, so guarantee not to rust over time.Chopper and all parts are made from BPA free food safe plastic.And we will stand behind our product with a replacement or your money back! 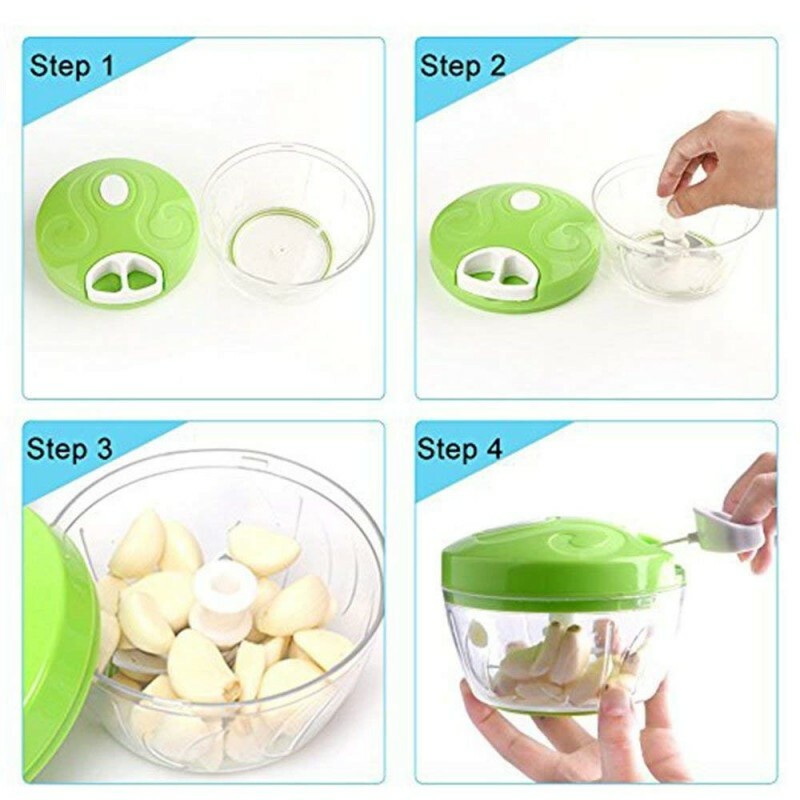 food container after use. Super easy and safe to use. scrub the surface with a clean ball),wipe up and air dry the accessories. Breaks down for easy washing. Arrived on time.